When the power goes out, or you’re out camping, you really want to have the best possible portable generator on hand. It can be hard deciding on which ones are the best, though, as they’re somewhat expensive and hard to just test out. However, you’re in luck if you’re looking for a great portable generator. Today, we’re going over the best of the best. 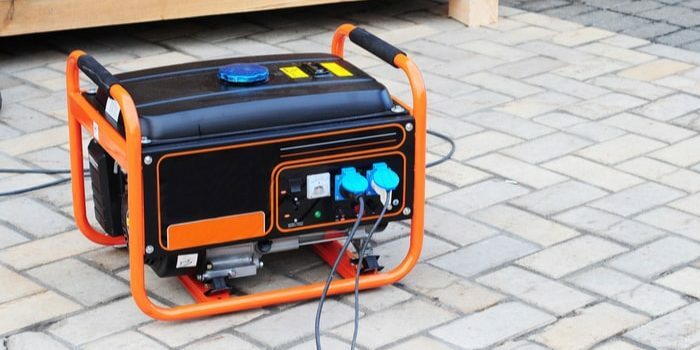 Here’s our guide to the best portable generators of 2019. Whether you’re temporarily without power or on a fun adventure in the woods, here are our picks for the portable generator you should have with you. This lightweight and quiet generator comes in right at 59 decibels, making it a great pick for those looking to splurge. Best of all, the generator is a light 46 pounds, and it rocks a 1.1 gallon tank for fuel. When operating at 100 percent, the generator puts out four hours of energy. At a stretch it can even put out ten hours of energy if it’s operating around 25 percent. Also great to have is the two AC outlets in addition to the DC outlet, making this a flexible generator. The generator is able to hook up to similar generators and output double the power if you have a very high power requirement. That’s a pretty tall order, though, as the unit can put out 2,000 watts of energy. The Honda EU 2000i also sports Eco-throttle and clean output in order to reduce its environmental impact, making it a smart choice. If you’re looking for a good generator to treat yourself on, this is it. It even comes with a 3-year warranty. Environmentally friendly and easy to maintain, it’s hard to go wrong with this Honda. Next up is the Briggs & Stratton PowerSmart generator. Its biggest draw is the extremely portability of the device. This unit has an H-handle design that makes it very easy to pick up and transport, even for just one person. Two people can easily share the weight of the unit, making it a great pick for those who love camping. The motor puts out 2,200 starting watts and offers 1,700 running watts. At 25 percent output it can run for eight hours on a full tank, which is about a gallon. In fact, this device can run most 120V appliances with no problem. It can also power smaller devices like laptops and smartphones, making it a versatile pick. The PowerSmart is also quite understated, running at only 59 decibels when operating, making it no louder than a normal speaking voice. The panel offers one DC outlet and two household outlets, as well as a USB plug for power output. Much like the Honda 2000i, it can also plug into another unit for more power output. Additionally, the generate offers a “PowerSmart” mode that allows it to shift performance in order to conserve power, allowing you to do more with less. The best overall generator in our experience is the WEN 56200i, for a number of reasons. This lightweight portable generator is a surprising 48 pounds, making it very easy to recommend as a first-time generator. It’s also rather quiet, like the other entries on this list, coming in just at 51 decibels while operating. If you need power, the WEN has you covered, putting out 2,000 starting watts and 1,600 watts when running. It’s got two three-prong outlets, both of which put out 120V, as well as a DC input capable of putting out 12V. Additionally, there is a 5V USB port that will allow for even smaller devices like smartphones to receive power. The internal tank is capable of holding six gallons of gas and can offer up to six hours of energy when running at 50 percent. If you’re worried about running out of fuel, don’t be! 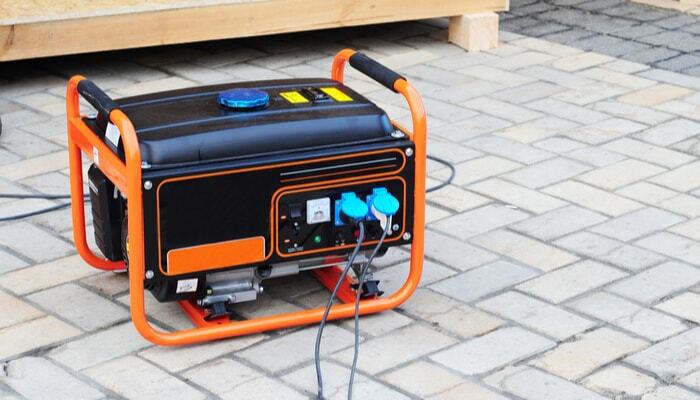 The generator offers low-fuel automatic shutdown in order to keep the generator from damaging any items plugged in when it shuts down. Further, the generator offers up an Eco-Mode that not only helps the unit to use less power but also watches out for the environment by being less wasteful! This allows it to switch its fuel consumption to a lower mode to keep the unit charged up for longer, and also keeps power going to your devices. Overall, this is the best portable generator for your buck on the market today, thanks in no small part to its versatility.